QC INTEGRAL COLORS consist of colored admixtures and are developed for use in ready mixed concrete. The product is made of the highest quality pigments, as well as other ingredients designed to enhance the color and improve the pigment dispersion, workability and finishing performance of the concrete and offset water demand caused by pigments. QC INTEGRAL COLOR pigments meet or exceed ASTM C 979. This coloring method can be utilized for concrete flatwork applications (salt finishes, broom finishes, rotary finishes, etc. ), as well as vertical surfaces and other types of architectural concrete. QC INTEGRAL COLOR may also be used in conjunction with admixtures conforming to ASTM C 494, Types A, B, D and F. QC INTEGRAL COLOR is also compatible with air-entrained admixtures conforming to ASTM C 260. QC INTEGRAL COLORS are packaged in cubic yard/meter units for specific cement ratios. One bag of QC INTEGRAL COLOR contains the proper ingredients for one cubic yard or cubic meter of concrete. Custom packaging is available upon request. Make sure to specify the proper cement content when ordering. We do not recommend flyash mixes. FOR CONVENTIONAL READY-MIXED PLANTS: The drum must be cleaned and approximately 1/3 (one-third) of the mix water and a portion of the aggregates needed should be added to the drum. Do not use slurry water or reclaimed aggregates. Add the correct number of QC INTEGRAL COLOR bags to the drum and charge at mixing speed for three minutes or until all bags have been broken up and a color slurry is visible in the drum. Add the balance of ingredients (water, aggregates, cement and admixtures) into the truck and thoroughly mix the load before final slump adjustment. At the job site, re-mix the load for at least 5 minutes to insure concrete consistency. Do not exceed maximum allowable revolutions. FOR CENTRAL MIX OR PREMIXED BATCH PLANTS: Add 1/2 (one-half) of the total batch into a clean ready mixed truck drum. Do not use slurry water or reclaimed aggregates. Add the correct number of QC INTEGRAL COLOR disintegrating bags into the drum and mix at high speed for at least 3 minutes. Batch the remaining concrete into the truck and mix again for at least 3 minutes before final slump adjustment. At the job site, re-mix the load for at least 3 minutes to insure concrete consistency. Do not exceed maximum allowable revolutions. Color loads should never be smaller than 3 cubic yards. Add reinforcement fibers after the color load has been thoroughly mixed. This reduces the potential for fiber/color balling. Use one source for cement, aggregates and pozzolans throughout the job. Monitor and control incoming material consistency. Do not use calcium chloride-based admixtures. Non-chloride admixtures may be used. Wash out all drums before loading. Keep slumps consistent. Minimize driver-added water. A 4 to 5 inch slump is recommended. Maintain the same water/cement ratio. Required higher slumps should be achieved by using water reducing or plasticizing admixtures and NOT by adding water because this will adversely affect the color. Use QC COLOR CURE according to installation procedures. Custom colors available (minimum 10 bags). Contact your QCrepresentative. Cure fresh concrete immediately following final finishing with QC COLOR CURE, QC CLEAR CURE or QC CLEAR CURE MATTE FINISH. See Product Information Bulletin for recommendations. QC CEMSEAL (see Product Information Bulletin). QC SOLVENT SEAL (see Product Information Bulletin). QC SOLVENT SEAL VOC II (see Product Information Bulletin). QC CEMGUARD (see Product Information Bulletin). It is highly recommended to develop and follow a routine maintenance schedule for all colored concrete so that it will maintain a top quality appearance. Every 18 to 36 months, colored concrete installations should be inspected, cleaned and resealed as required by volume and intensity of traffic. The need will vary depending on a number of factors including traffic conditions, geographic location and weather. Inconsistencies in job site conditions, finishing practices, concrete mix design, slump and curing methods may produce variations in the color of the finished product. Integrally colored concrete is limited to lighter, more pastel colors and is not as brilliant as color hardened surfaces. Because of mixing characteristics of some ready mix trucks or mix designs, it is possible that small pieces of disintegrating bags may not fully disintegrate. Keep out of the reach of children. See Material Safety Data Sheets for complete information. Standard dosage is one bag per cubic yard/meter. Certain colors and/or mix designs may require two bags per cubic yard or meter. Bag weight varies depending on color and cement content. Packaged in disintegrating bags with removable batch labels that may be reattached to paperwork for improved quality control. Preparation work, including sub-grade preparation, finish grading, constructing formwork, placing and setting screeds, and furnishing and placement of reinforcement shall be done by a licensed, qualified contractor. Provide all QC INTEGRAL COLOR. 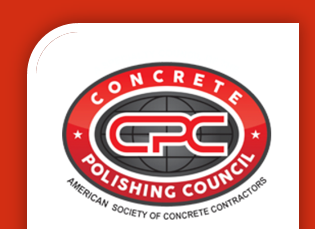 Provide, place and finish all concrete in accordance with specifications. The area to receive integrally-colored concrete shall have the sub-grade prepared as required as for any concrete slab on grade. The formwork shall be installed in accordance with the drawings. The slab thickness shall be consistent with that of ordinary concrete slabs under the same conditions. Control joints and/or expansion joints shall be provided in accordance with the drawings and the guidelines established by the American Concrete Institute. The contractor shall advise and work with the architect/engineer to determine the best location for these joints to minimize the visibility of the joints and to minimize unsightly cracking. The concrete shall be placed and screeded to the finished grade and floated to a uniform surface using standard finishing techniques. Apply the final finish in accordance with specifications. Apply _________________ [the appropriate QC curing product] as soon as possible following final finishing operations per manufacturer’s Product Information Bulletin. Follow manufacturer’s recommendations for application. Apply _________________ [the appropriate QC sealer]. Follow manufacturer’s recommendations for application. QC INTEGRAL COLOR is warranted to be of uniform quality within manufacturing tolerances. Since control is not exercised over its use, no warranty, expressed or implied, is made as to the effects of such use. Seller’s and manufacturer’s obligation under this warranty shall be limited to refunding the purchase price of that portion of the material proven to be defective. QC Construction Products is a registered trademark and servicemark with the U.S. Patent Office and other foreign countries. QC Construction Products, Madera, CA.